Today, the gossip says that Apple will show off a 10-inch touch screen device with the amazing multi-touch gestures that make the iPhone such a breeze. It will also run iPhone apps as well as some mix of Macbook-sized apps and be priced somewhere around $800 USD. The Apple Tablet is causing the most excitement in the book publishing world, where there is both fear and greed that the Apple tablet could do for downloading books what the iPod did for music – make it legal, easy, and profitable. Right now, its expensive to get a high-quality book in any African country – even South Africa. You can get poorly copied paperbacks anywhere, but the selection is as small as the quality poor. It took me three different books to find all the pages to Dreams from My Father in Nigeria. With publishers like McGraw-Hill publishing 95% of textbooks in ebook format, and Amazon now selling more ebooks than real books, the Apple Tablet platform may finally make the distribution of knowledge simple, easy and cheap in Africa. Yes, there is still the cost of the device itself, but like cell phones, and even the iPod itself, prices are dropping as African incomes are growing. As AT&T has learned, iPhone users are data hogs. I know I push the limits of bandwidth in my usage, burning through a full iPhone battery in four hours or less when I’m liveblogging (thank god for iPhone battery extenders). Now take the iPhone data usage and multiply it by the Apple Tablet screen size and you can quickly surmise that no matter how robust Safaricom’s network, they’ll need to invest in new mobile broadband bandwidth soon. Oh and before you think Apple Tablet will not have adoption rates like mobile phones, I have two words for you: Skype video. All this demand for bandwidth will actually make it cheaper – more people using more bandwidth will stimulate more Internet service providers and greater competition in service, quality, and price. With what I expect to be robust growth in Apple Tablet sales, African software developers will have many new business opportunities. First, we should see enough demand for application development that Africans should be able to win new work. And soon enough, companies like Leti games will be building Afro-centric applications just for home markets. But lets think bigger. Wouldn’t the ultra portable Apple Tablet also drive a renascence in web development? 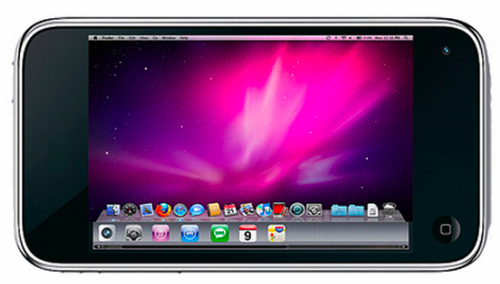 New applications that utilize the larger screen and camera that I’d expect in a Tablet from Apple? Could this be real remote diagnostics for mHealth? Or produce grading and pricing while on the farm? What about whole new business models we can’t even imagine now? There is just one concern I have with the Apple Tablet – how locked down it will be. If its like the iPhone, wedded only to certain carriers, or like the Kindle, one content provider, its usefulness across the many countries of Africa will be minimal. Let’s hope that Apple is following Google’s lead, and selling the Apple Tablet free from service contracts or vendor lock-in. That users are free to get content from any provider, on any platform – WiFi to GSM 3.5. Only then will Apple unleash demand like a sledgehammer did in 1984. The 1 in 1000 who use it may well feel nicely in touch with their US and european counterparts – good for them.